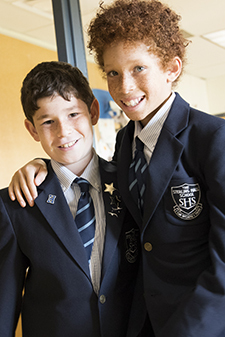 At Sterling Hall, we know that a boy's character is developed and shaped over time and through experience. Research has proven that character must be explicitly taught using shared language and understanding. Character education at Sterling Hall is explicitly taught through our Stewardship and Service Learning programs and our good citizenship initiatives. Our work involves teaching boys to become aware of what is happening in their immediate communities and in the global community. Activities both inside and beyond the classroom foster the value of good citizenship. Starting with the community, we teach the boys to look outside of themselves, to find ways to give of themselves in order to help others. At the beginning of the school year, each grade decides on an appropriate initiative to adopt for the coming year, with the help of a faculty advisor. In the following months, the boys undertake every aspect of the initiative themselves, from research to advertising to fundraising to follow-up, working together as a team. The chosen activity is integrated into the class curriculum by the boys’ teachers. Previous initiatives have included a warm clothing drive for new Canadians at a nearby school, clothing and toiletries drives for Out of the Cold and Convenant House, toy drives for the Hospital for Sick Children and Beatrice House (a women’s shelter), raising awareness and money for “Right to Play” and writing letters to Canadian soldiers in Afghanistan. Our Agents of Change are a group of Grade 8 students who play an integral part in community service and character education at Sterling Hall. They oversee two or three school-wide projects, lending a hand wherever it’s needed, and instilling a sense of excitement and “cool” factor to keep the momentum building. Because community service is part of the educational fabric, our boys learn to identify need and figure out a way to help, without waiting to be asked. This is an important life skill and character building exercise that equips them not only for high school community service, but for their adult roles as good citizens. 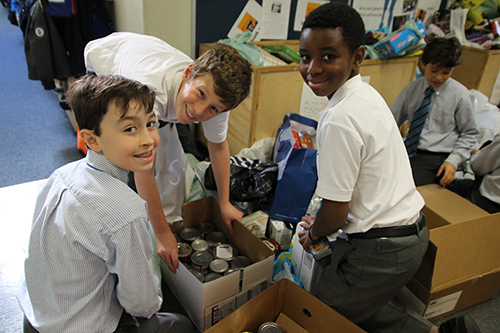 We regard it as an important part of our role in helping to develop the heart and spirit of each boy. We participate actively in ME to WE initiatives. Our Grades 7 and 8 boys attend WE Day annually and we join in ME to WE and Free the Children programs such as We Scare Hunger and We Create Change. 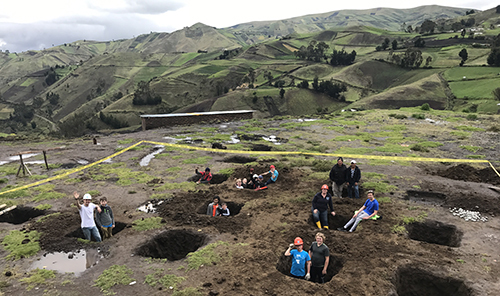 Boys in our Intermediate Division apply to participate in a building project in Ecuador, where they help to build schools and support a vital water project. The trip is an experience of a lifetime for the boys and provides much-needed support for the communities they visit. This trip happens every other year.